The eighth title of this collection is dedicated to Emilia Pardo Bazán (2019, Taurus). 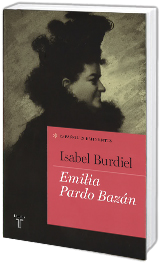 Its author is Isabel Burdiel, Professor in Contemporary History at the University of Valencia and Honorary Research Fellow at the University of East Anglia (UK). She was founder and director (2009-2014) of the European Network on the Theory and Practice of Biography, in whose activities she published as co-editor La historia biográfica en Europa. Nuevas perspectivas (2015). She is a specialist in political and cultural history of European liberalism of the nineteenth century. She is the author of, among others, the books La política de los notables (1987), Isabel II. No se puede reinar inocentemente (2004), Isabel II. 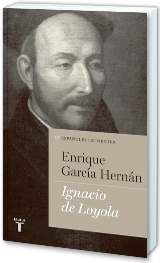 Una biografía (1830-1904) (2010, Spanish National History Prize 2011). She has been responsible for the critical editions in Spanish of A Vindication of the Rights of Woman by Mary Wollstonecraft (1994) and Frankenstein by Mary Shelley (1996), as well as the co-direction of the volumes of biographies Liberales, agitadores y conspiradores (2000) and Liberales eminentes (2008). The seventh book in this collection is about Concepción Arenal (2018, Taurus). 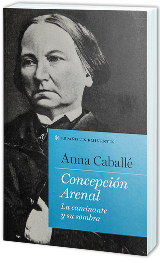 It was written by Anna Caballé, a lecturer of Spanish Literature at the Universitat de Barcelona. She is also responsible for the Biographical Studies Unit at the same institution. A specialist in (auto-)biographical writing, she is the author of the books: Narcisos de tinta. Ensayo sobre la literatura autobiográfica en lengua castellana (1939-1975) (1995), Francisco Umbral. El frío de una vida (2004), Una breve historia de la misoginia (2006), Carmen Laforet. Una mujer en fuga (2010, with Israel Rolón, winner of the Premio Gaziel de Biografías), El feminismo en España. La lenta conquista de un derecho (2013), ¿Por qué España? Memorias del hispanismo estadounidense (2014) and Pasé la mañana escribiendo. Poética del diarismo español (2015, winner of the Premio Manuel Alvar de Estudios Humanísticos), among others. She edited and directed the collection La vida escrita por las mujeres (2003 and 2004), in four volumes. 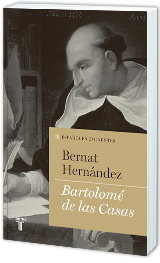 The sixth book in this collection is titled Bartolomé de las Casas (2015, Taurus). It was written by Bernat Hernández, a Tenured Professor of Modern History at the Universidad Autónoma de Barcelona and a member of the CEAC (Centro de Estudios de la América Colonial). He is also the author of Fiscalidad de reinos y deuda pública en la Monarquía hispánica del siglo XVI (2002), Fiscalismo y finanzas en la Cataluña moderna (2003) and Cristóbal Colón, Bartolomé de las Casas. Vidas cruzadas (2007). Recently, he published an overview of seventeenth-century world history (Las monarquías absolutas, "Historia Universal National Geographic", 2013) and co-edited the books Tierras prometidas. De la colonia a la independencia (2011) and Hombres de a pie y de a caballo. Conquistadores, cronistas, misioneros en la América colonial de los siglos XVI y XVII (2013). 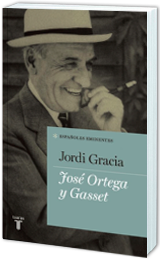 The fifth title in this collection is titled José Ortega y Gasset (2014, Taurus). It was written by Jordi Gracia, Professor of Spanish Literature at the Universitat de Barcelona and a regular contributor to El País. He has published various intellectual histories including Estado y cultura, La resistencia silenciosa, which received the Premio Anagrama de Ensayo (Anagrama Essay Prize) in 2004 and the Premio Caballero Bonald in 2005, A la intemperie, offering new perspectives on exile, and La vida rescatada de Dionisio Ridruejo. He is also the author of an essay about unorthodox Catalans, Burgesos imperfectes, and co-authored the volume of the history of Spanish literature Derrota y restitución de la modernidad, 1939-2010 with Domingo Ródenas. In 2011 he published a pamphlet opposing cultural alarmism titled El intelectual melancólico. 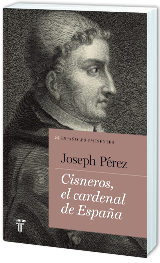 The fourth book in this collection is titled Cisneros, el cardenal de España (Cisneros, the Cardinal of Spain) (Taurus, 2014) and it was written by Joseph Pérez, a French historian of French origin and recently awarded with the Premio Príncipe de Asturias de Ciencias Sociales 2014 (the 2014 Prince of Asturias Award for Social Sciences). Professor of Spanish and Spanish-American Civilization at the University of Bordeaux 3, he acted as the University's Honorary President (1978-1983) and Director of the Casa de Velázquez (1989-1996). He is a corresponding member of the Real Academia de la Historia (Spanish Royal Academy of History). He was awarded an honorary doctorate from the University of Valladolid and was named Commander of the Order of Isabella the Catholic and an Official of the French Legion of Honour. He has also received the Grand Cross of Alfonso X the Wise and the Premio Nebrija from the University of Salamanca. His books include: La revolución de las comunidades de Castilla (1520-1521) (1977), Historia de una tragedia: la expulsión de los judíos de España (1993), El humanismo de Fray Luis de León (1994), Carlos V (1999), La España de Felipe II (2000), Isabel y Fernando, los Reyes Católicos (2001), Crónica de la Inquisición en España (2002), Los judíos en España (2005), La Inquisición española: crónica negra del Santo Oficio (2005), Mitos y tópicos de la historia de España y América (2006) and Teresa de Ávila y la España de su tiempo (2007). The third title in this collection is devoted to Ignatius of Loyola (2013, Taurus). Its author, Enrique García Hernán, holds a PhD from the Complutense University of Madrid and the Pontifical Gregorian University in Rome. He is a historian of the culture of the Habsburg period, a scientific researcher at the Instituto de Historia of the Consejo Superior de Investigaciones Científicas (CSIC), a corresponding member of the Real Academia de la Historia (Royal Academy of History), a member of the board of directors of the Comisión Española de Historia Militar (Spanish Commission of Military History) and a member of the Accademia Ambrosiana in Milan. He has written around 20 books and 100 articles about military, political and religious history. His research has focused on the history of the Society of Jesus, as well as the figures of Saint Francis Borgia, 4th Duke of Gandía and Ignatius of Loyola. His publications include Consejero de Ambos Mundos. Vida y obra de Juan de Solórzano Pereira (1575-1655) (2007) and Ireland and Spain in the Reign of Philip II (2009). 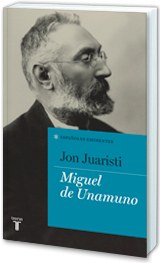 The second title in this collection focuses on the life of Miguel de Unamuno. The author, Jon Juaristi, is a Professor of Spanish Literature at the University of Alcalá de Henares. As a writer and journalist he has received numerous awards (the Spanish National Essay Award, the Royal Spanish Academy's Fastenrath Prize, the Mariano de Cavia Award, the Comillas History and Biography Award, among others). He has taught at a number of universities in Spain, Mexico and the United States and directed the National Library of Spain and the Instituto Cervantes. Under Taurus he has published El linaje de Aitor. La invención de la tradición vasca (1987) (Aitor's Lineage. The Invention of the Basque Tradition), Literatura vasca (1988) (Basque Literature) and El bosque originario, Genealogías míticas de los pueblos de Europa (2000) (The Forest of Origination, Mythical Genealogies of the Peoples of Europe). 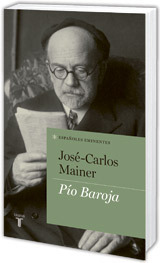 The first issue of this collection is dedicated to Pío Baroja. The author, José-Carlos Mainer, is emeritus professor of Spanish Literature at the University of Zaragoza and a specialist in 20th century literature, as well as editor of the Complete Works of the Basque writer for the Galaxia Gutenberg/Círculo de Lectores publishing house. This collection, the result of the Biographies of Eminent Spaniards project (Biografías de Españoles eminentes) initiated by Fundación Juan March, pursues the promotion and development of the biographical genre in Spain in the light of the exemplary nature of certain individuals who, for their moral or humanistic excellence, were outstanding in their time, and continue to be relevant to the collective consciousness. The aim is to provide truly modern biographies that contribute to rewriting our history in a far more integrative manner, while at the same time educating about the careers of individuals whose merits and general recognition can have a unifying influence on today's society. This collection is published by Taurus publishing house, with an advisory board consisting of Juan Pablo Fusi and Ricardo García Cárcel.